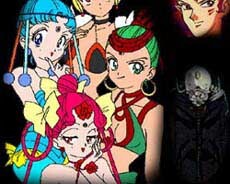 The SuperS Episode Guide from Doi's Bishoujo Senshi Sailor Moon. Includes summaries of all the SuperS episodes from the anime. See our Second Look review from May 1999. Originally this site was an essay defending the SuperS anime from critics who claim it's "just fluff". 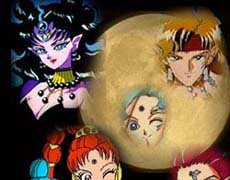 It has since expanded to include more information and opinions on the SuperS anime, the Dream manga arch, and the SuperS Musicals. A FishEye shrine with lots of information, galleries, opinion articles, and interactive sections. See our review from July 1998. To the Circus section of Manga Garden. Filled with excellent manga information. A shrine to the little eyeball with wings, Zircon! This site is filled with more stuff than you might have thought possible about that little flamer.